Synopsis: When 9-year old orphan Shula is accused of witchcraft, she is exiled to a witch camp run by Mr. Banda, a corrupt and inept government official. Tied to the ground by a white ribbon, Shula is told that she will turn into a goat if she tries to escape. As the only child witch, Shula quickly becomes a local star and the adults around her exploit her supposed powers for financial gain. Soon she is forced to make a difficult decision – whether to resign herself to life on the camp, or take a risk for freedom. 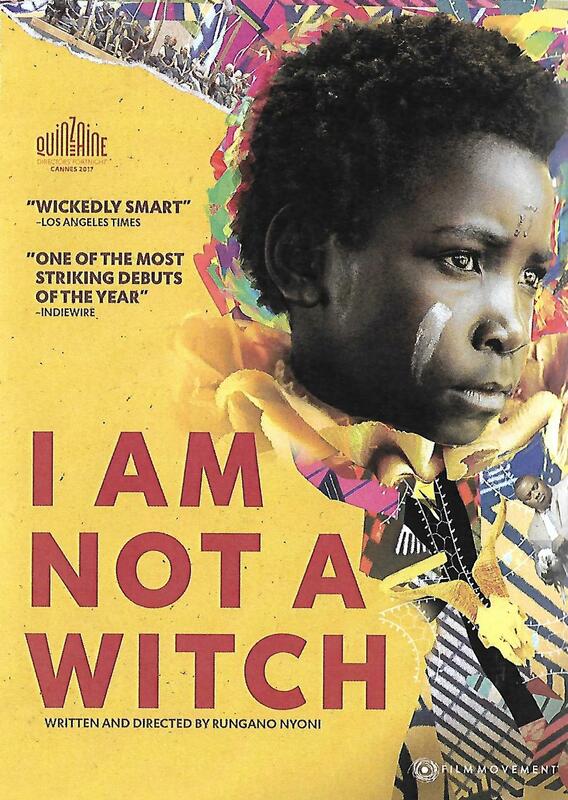 I am Not a Witch is a satiric feminist fairy-tale set in present-day Zambia. In English, Bemba, Nyanja, and Tonga with English subtitles.